St. Joseph is highly venerated in New Orleans. On St. Joseph’s Day (March 19th), he is honored with lavish altars, good food, and celebration. He stands beside Black Hawk and Moses in the Spiritualist churches as a patron saint of social justice. New Orleans was a major port of entry for Sicilian immigrants during the late nineteenth century and they brought the tradition of St. Joseph altars with them. Between 1850 and 1870, the U.S. Census Bureau estimates that there were more Ital­ians concentrated in New Orleans than in any other U.S. city, which explains why the tradition of St. Joseph is almost exclusive to New Orleans. 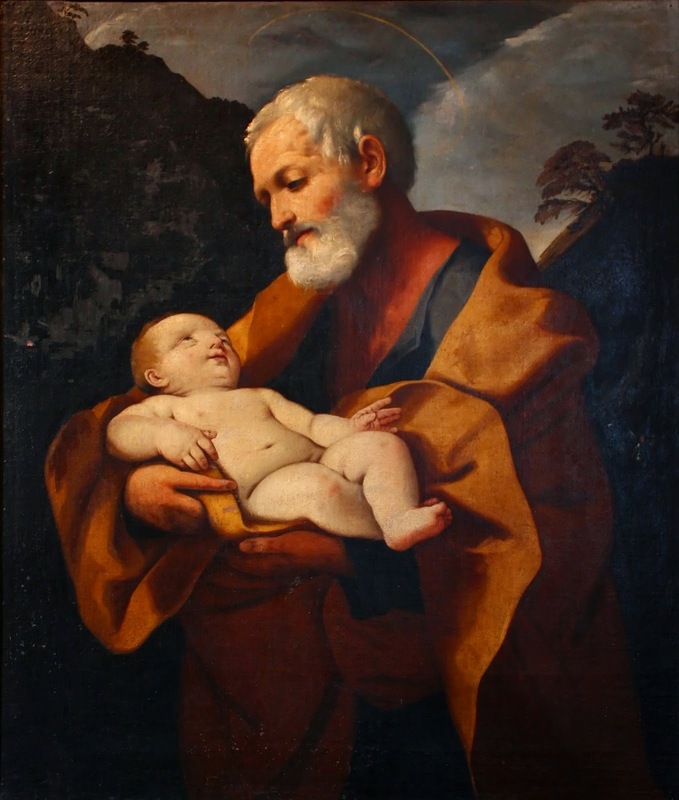 Within the Roman Catholic tradition, St. Joseph is the husband of Mary and earthly father of Jesus Christ, and is honored as the patron saint of families, fathers, expectant mothers, travelers, immigrants, house sellers and buyers, crafts­men, engineers, and working people in general. Joseph is also the unofficial patron against doubt and hesitation. Because Joseph died in the arms of Jesus and Mary, he is considered the model of a devout believer who receives grace at the moment of death. Thus, he is considered the patron saint of a happy death. The Feast of St. Joseph is a citywide occurrence. Both public and private St. Joseph’s altars are traditionally built. The altars are usually open to any visitor who wishes to pay homage. The food is distributed to charity after the altar is dismantled. 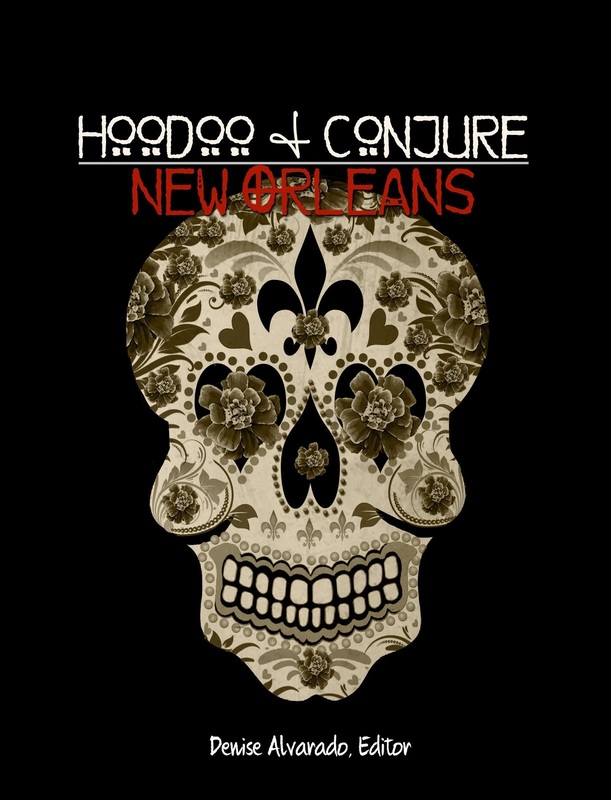 There are also parades in honor of St. Joseph and the Italian population of New Orleans that are similar to the many marching clubs and truck parades of Mardi Gras and St. Patrick’s Day. Some groups of Mardi Gras Indians stage their last procession of the season on the Sunday prior to St. Joseph’s Day, otherwise known as “Super Sunday,” after which their costumes are taken apart. Over the years there developed a tradition of St. Joseph having a special power in real estate transactions and home sales. However, the formal tradition of bury­ing St. Joseph in the earth began hundreds of years ago in Europe. When an order of nuns needed more land for a convent, they buried medals of St. Joseph in the ground and prayed to him for help. They were apparently successful, and so, hoping for a little heavenly intercession, thousands of home sellers and real estate agents nationwide perform a ritual where a statue of St. Joseph is buried upside-down on a property to make it sell very fast. The first St. Joseph altar was built in New Orleans in 1967 by members of the Greater New Orleans Italian Cultural Society (GNOICS). The tradition expanded to his feast day and continued yearly until it became the citywide event it is today. The origin of this practice can be traced back to the Middle Ages, when starvation was rampant and Joseph was petitioned for relief. The altars were an act of grati­tude for his intercession. The families of farmers and fisherman built altars in their homes to share their good fortune with others in need. Tradition dictates that no expense should be incurred to build the altar, and no profit should be made from it. 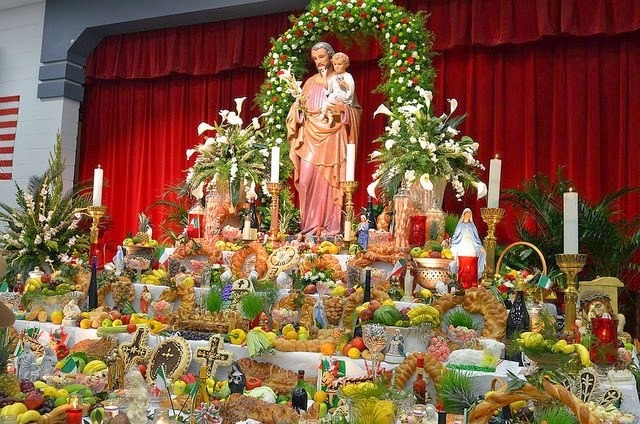 Altars created for St. Joseph are typically large, three-tiered, and elaborate, and have many food items on them. The different food items have special symbolism and meaning to the Church. Because the Feast of St. Joseph occurs during Lent, there is no meat on the altar. Instead there is fish. The fish represent the twelve Apostles, Jesus, and the miracles of the loaves of bread and fish. The fish also serves as a reminder of the Last Supper. In addition to fish, there are fruits, vegetables, salads, wine, cakes, cookies, blessed breads, fava beans, and symbolic pastries. The blessed bread is created in symbolic shapes and is edible, while the symbolic pastries are not. It is said that during terrible storms, a piece of this blessed bread from the altar of St. Joseph can be tossed outside, a prayer recited, and the storm will subside. Fava beans are considered lucky, and a bowl of these lucky beans is kept on the main altar. Petitioners are given one to take the luck and blessings of St. Joseph with them. Fava beans are kept in the kitchen to ensure a pantry full of food, or in the pocket to ensure a wallet full of money. These are the perfect curio for a lucky mojo or gris gris bag, or can simply be carried alone in a pocket or kept on a home altar. Another tradition is the hammer and nails. Hammers and nails are given out to those attending the feast, along with instructions to hammer the nails into the frames of their front doors to receive the blessings of St. Joseph for their homes.